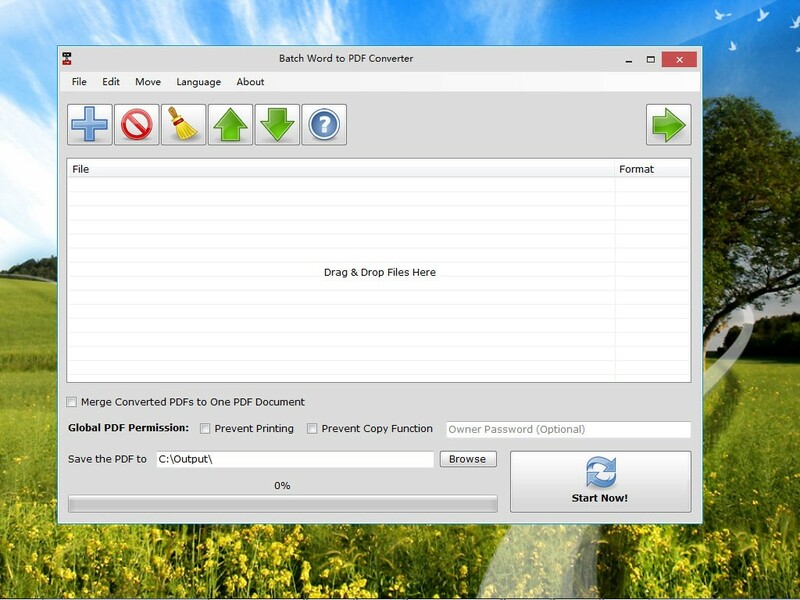 Different from most common PDF virtual printers, Batch WORD to PDF Converter enables you to convert MS WORD and more formats to PDF documents in bulk directly. The program also has the capability to merge all converted documents into one PDF file. Besides MS WORD DOC/DOCX format, Batch WORD to PDF Converter can convert Excel (XLS, CSV, ODF, ODS), Powerpoint (PPT, PPTX, ODP, ODF), Rich text(RTF), Plain text (TXT) and more formats to PDF as well. Additionally, this special tool has some security options allow you to set global authorities for the output PDF (like printing prevention & copy prevention), and you can set an owner managing password to control the security levels of PDF files.